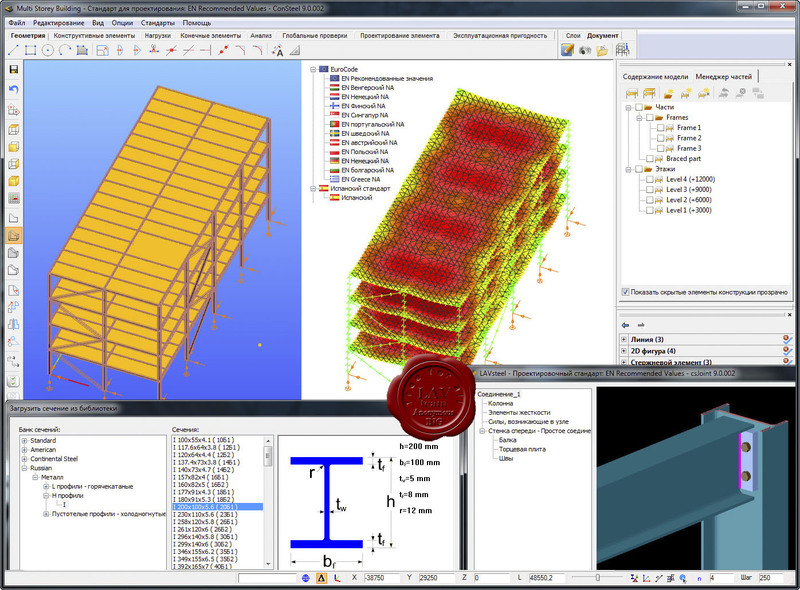 ConSteel provides a structural analysis software for the design office mainly involved in constructions of steel and composite structures. 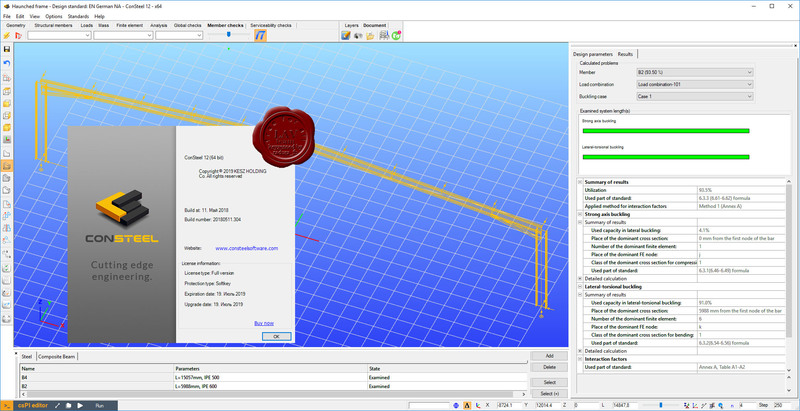 It covers all the phases of the design process: modeling; integrated analysis and standard design; detailed examination of cross-sections and structural joints; flexible documentation. 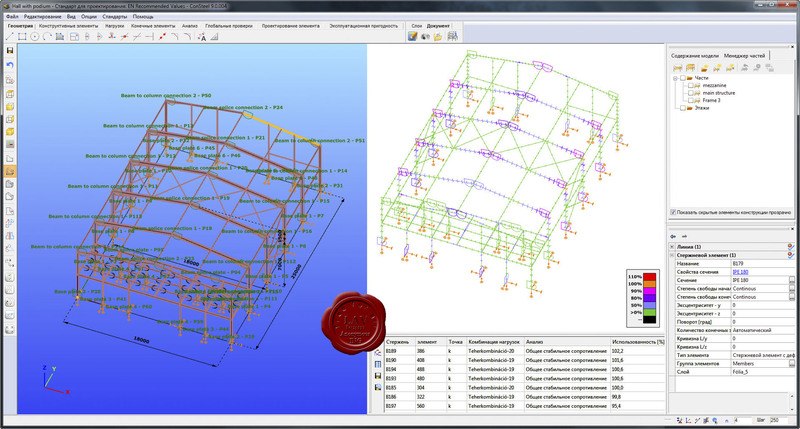 The analysis and design approach of ConSteel utilizes entirely the most up-to-date methodologies of the modern structural standards treating the 3D structural model as a whole during the complete process. 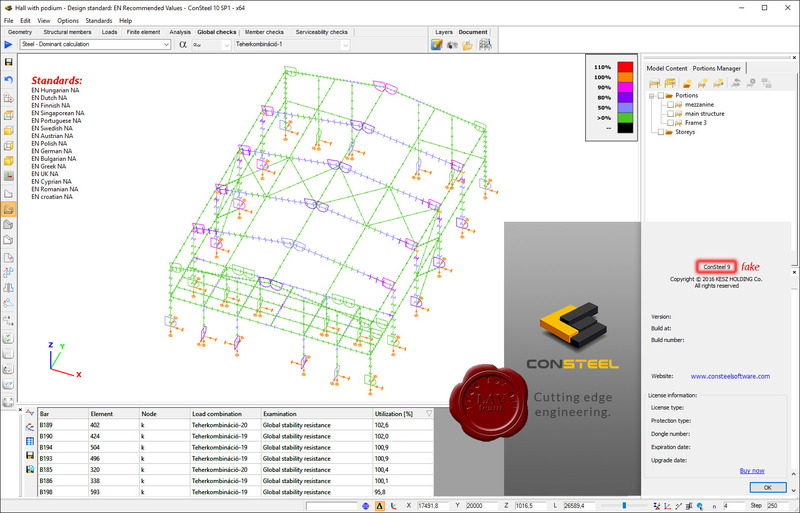 The unique interface between ConSteel and Tekla Structures, ConSteel and StruCad enables the user to export the full designed model including the placed joints reducing significantly the detailing costs. ConSteel has been developed by a professional team of structural scientists, engineers and programmers being in daily connection with end user engineers. Our philosophy is to provide a unique flexibility in the direction of development for the users considering fully the most recent needs in their everyday work. The following chapters introduce the possibilities of ConSteel in more detail. 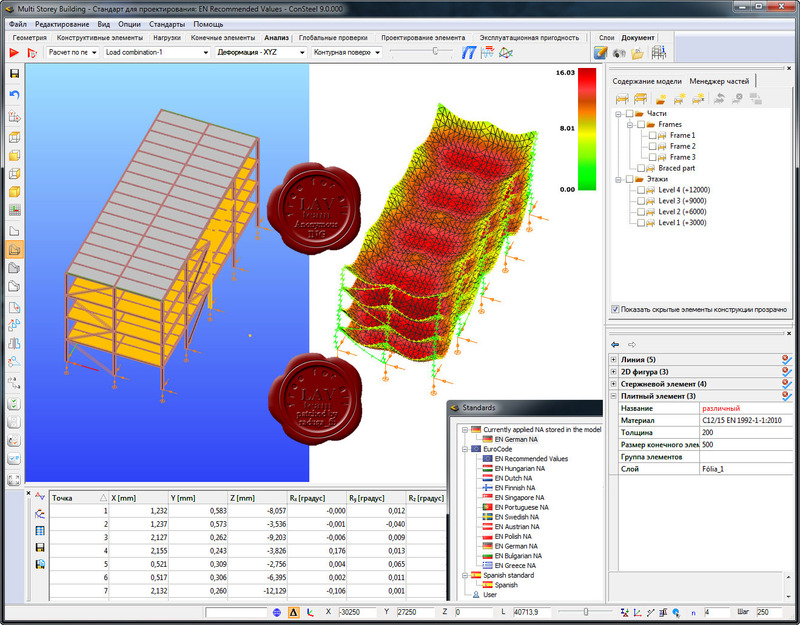 ConSteel provides a structural analysis software for the design office mainly involved in constructions of steel and composite structures. It covers all the phases of the design process: modeling; integrated analysis and standard design; detailed examination of cross-sections and structural joints; flexible documentation. The analysis and design approach of ConSteel utilizes entirely the most up-to-date methodologies of the modern structural standards treating the 3D structural model as a whole during the complete process. 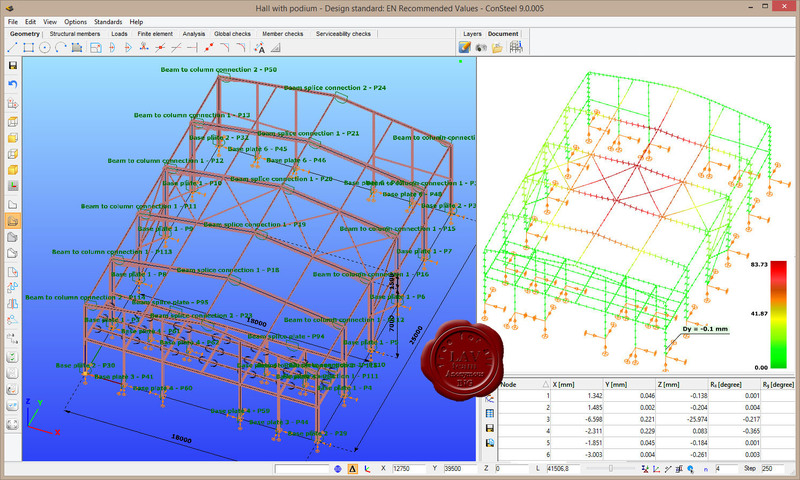 The unique interface between ConSteel and Tekla Structures, ConSteel and StruCad enables the user to export the full designed model including the placed joints reducing significantly the detailing costs. The ConSteel has been developed by a professional team of structural scientists, engineers and programmers being in daily connection with end user engineers. Our philosophy is to provide a unique flexibility in the direction of development for the users considering fully the most recent needs in their everyday work. The following chapters introduce the possibilities of ConSteel in more detail.